In addition to ETH, BNT, STX and GNO, as of today you can also convert ENJ directly on-chain using the Bancor Web App, anytime. An automated decentralized liquidity network allows all token launchers, large and small, to bring their innovations to market despite a challenging liquidity barrier. Liquidity is the lifeblood of any currency, and with a growing number of tokens and increased complexity and fragmentation around exchanges, an autonomous smart contract based solution is the next evolution for a modern crypto economy to thrive. The Bancor Protocol standardizes a new token “Connector” method which networks tokens to each other, so that they can be bought or sold directly through their smart contracts for any other token in the network, at formulaically determined prices which increase with buys and decrease with sells. This method allows buyers and sellers to each interact directly with the smart contract, so there is no need to match people to each other in order to convert. This asynchronous model can be compared to text messaging instead of phone calls, allowing for more fluid and frequent conversions with less price volatility which can result from lack of real time matches between those wanting to buy and those wanting to sell any given token. Even better, the Bancor smart contract is non-profit (no fee) with no spread (buy and sell prices are identical) so users benefit from increased efficiency, transparency and predictability — without middlemen. Using Bancor’s basic Web App interface, users can easily convert any token in the Bancor Network to any other, including ETH and BNT, rather than through a multi-step and fairly technical process using wallets and smart contract addresses. The ultimate aim of the product is to make token creation, usage and conversion as easy as sharing a YouTube video — allowing the long tail of value (aka user-generated currencies) to emerge. More than 50 projects have announced integration with the Bancor Protocol in order to offer continuous liquidity and relative stability to their token communities. We are happy to announce that Enjin has gone live today as the network takes its next steps adding nodes. Enjin is an online gaming community creation platform​ with more than 18 million users to date, that raised 75,084 ETH from 18,559 backers in their successful token launch this month. The company, based in Singapore, was launched in 2009 and now sees more than 60 million global views a month. Some of the most popular communities on Enjin are Minecraft, World of Warcraft, Guild Wars and Rust, and Enjin Coin will give these and other game developers, content creators and gaming communities a tool for implementing and managing virtual goods. The Enjin Token Relay will allow anyone to purchase ENJ directly from the Bancor Web App with ETH, BNT, and the growing list of supported tokens. It’s been a pleasure to work with the Enjin team through these early phases of both projects, and we wish them much success as they build out their token community. Try converting the latest tokens and let us know what you think about the evolving Web App. We have tons of features and improvements planned and always love to hear your ideas. 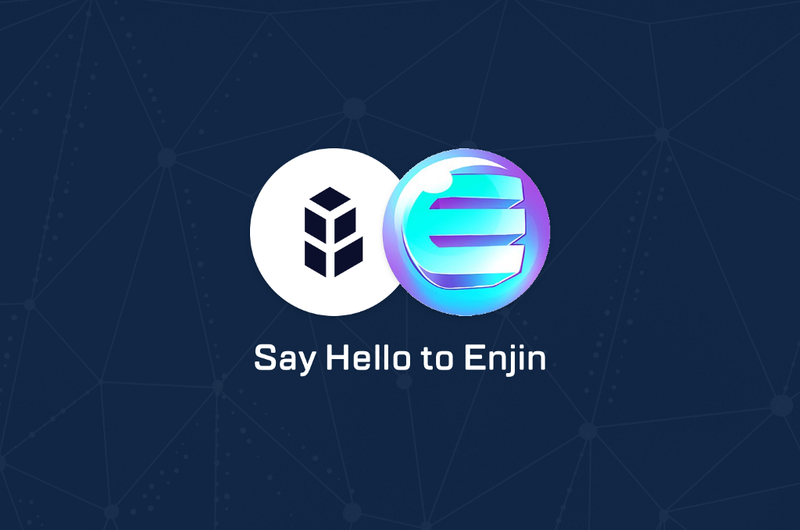 Announcing the Newest LIVE Token in the Bancor Network: Say Hello to Enjin was originally published in Bancor on Medium, where people are continuing the conversation by highlighting and responding to this story.